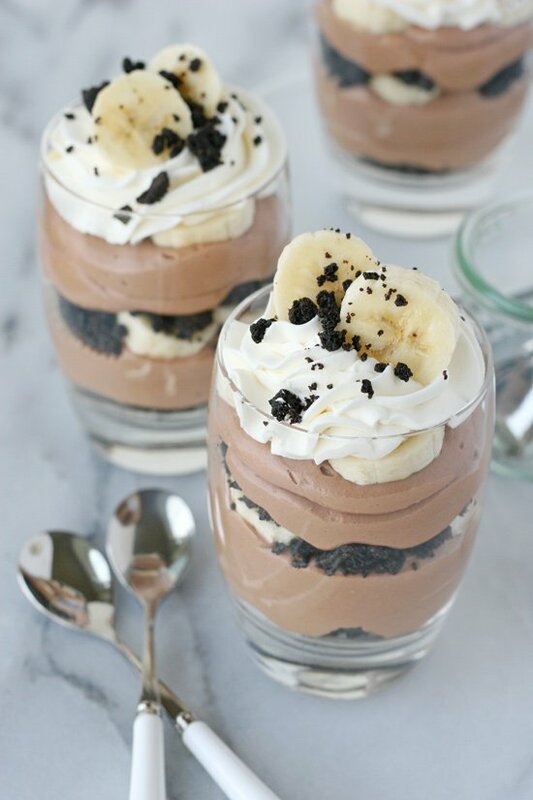 Let’s see… Nutella, bananas, oreos and whipped cream… yep, it might be appropriate to call this Banana Nutella Trifle “heaven in a glass”! 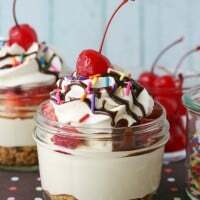 I’m guessing that by now (unless this is your first visit to my site) you’ve figured out that I have a “thing” for layered desserts and trifles! Maybe my book (Glorious Layered Desserts) gave me away? After filling an entire book with them, I still can’t stop making layered desserts! First, I love having a perfect serving all to myself…no slicing, no sharing. 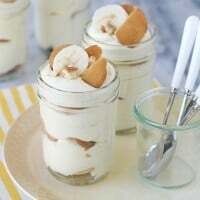 This Banana Nutella Trifle is actually just a slight variation of a dessert from my book. The version in the book has a layer of sponge cake (instead of oreo crumble) between the Nutella cream. Both options are delicious! Feel free to play around with other variations as well… I’m sure a layer of brownie pieces would be delicious, or a layer of store-bought (or homemade) pound cake. 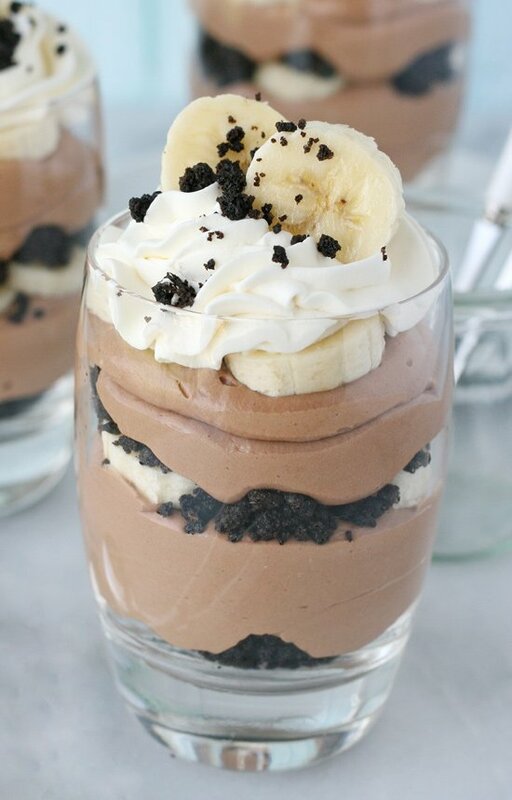 Nutella cream, bananas, oreo crumble and whipped cream... this layered dessert is heaven in a glass! Place cookies (cookie and filling) in a large ziplock bag and use a rolling pin to crush the cookies. Place crumbs in a bowl and pour melted butter onto crumbs. Stir until crumbs are evenly moist. Spread crumbs onto a rimmed baking sheet and bake at 350*F for 6-8 minutes. Remove from oven and allow to cool. (Crumbs may appear soft and/or oily when still hot, but will become crisper as they cool). In the bowl of an electric mixer, beat cream until it begins to thicken. Add vanilla and powdered sugar (while mixing) and continue to beat until the cream has more than doubled in volume and when you stop the mixer and lift up the whisk, the cream stays in place. Be careful not to over beat, or the cream will become clumpy and too stiff. Scoop finished whipped cream into a bowl and keep in the fridge as you prepare the remaining layers. In the bowl of an electric mixer (no need to wash if there are small remnants of whipped cream), beat cream cheese until smooth. Add Nutella and blend until fully incorporated. Continue mixing and slowly pour in heavy cream. Beat until the cream is fully incorporated and the mixture has thickened and increase in volume. Add vanilla and powdered sugar (while mixing). Mix until all ingredients are well blended and the mixture is light and fluffy. Place in the refrigerator until ready to assemble desserts (up to 2 hours). 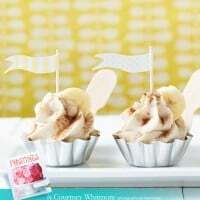 Both the whipped cream and the Nutella cream can be placed (separately) in a large piping bag or large ziplock bag for easy (and prettier) layering. You may also simply spoon those elements into the dishes. Begin assembly by adding a spoonful of oreo crumble to the bottom of each dish. Add a layer of Nutella cream, then a layer of sliced banana. Repeat layers... crumbs, Nutella, bananas. 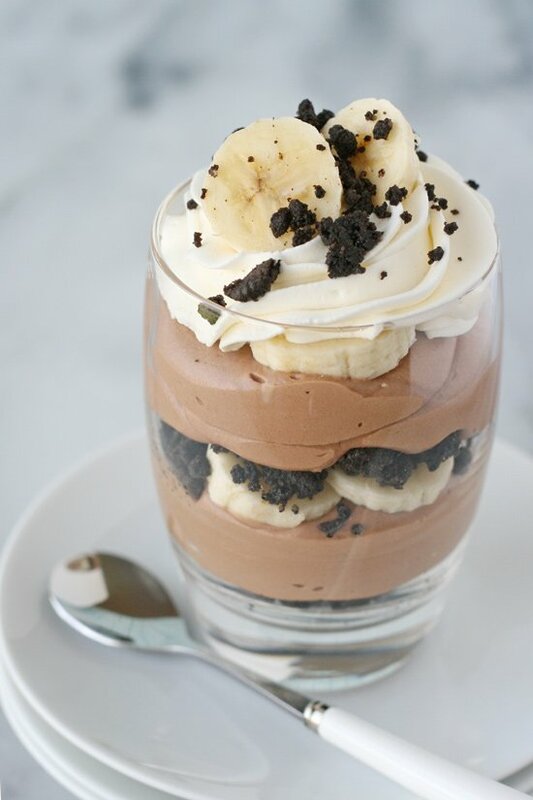 Add a layer of whipped cream and garnish with a slice or two of banana and a few oreo crumbs. Garnish just before serving. If making ahead, the desserts can be store in the refrigerator (without the garnish) for up to 2 hours. Save 1/2 of a banana (in the peel) and slice just before serving. Feel free to use canned whipped cream in place of homemade (as listed). If you are planning to make the desserts and eat them immediately, you could skip the butter and baking of the oreo crumble and simply crush the oreos and use as is. Mine too! Thanks for the sweet comment! Oh my!! Definitely my kind of trifle! This sounds lovely! Perfect flavor combo! And so, so pretty! Looks so pretty and delicious! ! ! Oh my! Some of my favorite things all in one dish! Thanks Jessica! I hope you give it a try! Wow… These are a home run for me! They have all my favorite food groups – cookies, cream, and chocolate. Delicious! How long would these ingredients (separate or assembled) keep in the fridge? Great recipe! Thanks for the sweet comment! It has all my favorites too! 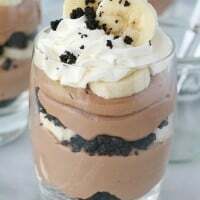 The cookie crumble could be made several days in advance, the nutella cream could be make several hours in advance (I’d say 4 hours max for a nice fluffy texture) and the whipped cream can be made up to 2 hour in advance. Once assembled, I would say it should be stored no more than 2-3 hours (in the fridge). And of course any banana garnish on top should be added just before serving. Absolute perfection Glory! I”m a – I’ll take one of everything – person too so I love treats that have it all! Pinned! Oh, girl, these look fabulous. My family would go crazy over these! I think I’ll make for spring break! Looks lovely! I am going to make it for tomorrow. If I omit the banana, will it keep overnight, or should I make it in the morning? 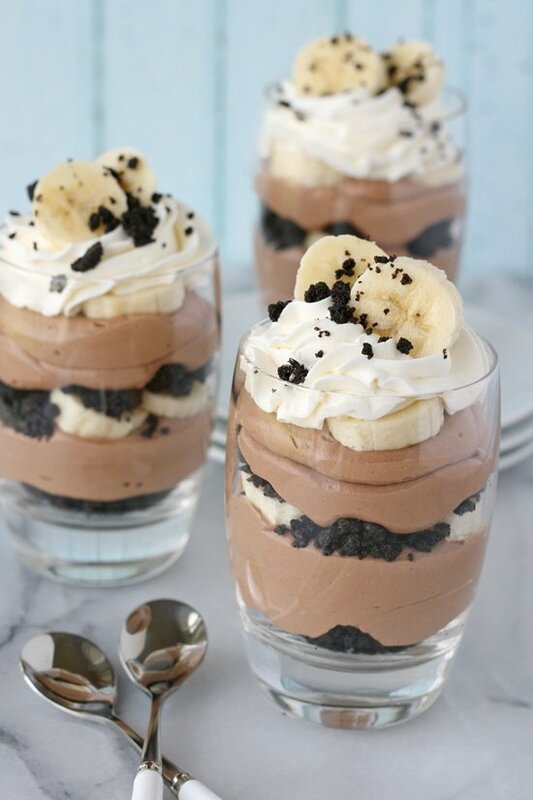 If making the banana nutella trifle in a trifle bowl, would you double this recipe? If making for a trifle bowl would you alter the recipe at all? Is there an alternative to cream cheese? I’m sure it’s wonderful, but I have a picky eater who can smell it a mile away. How do you think yogurt would work instead? I love cream cheese, but I know many don’t feel the same =) I have only made the recipe as listed, but I’d encourage you to experiment. I do think that yogurt could work, but you may need to adjust the sugar a bit. If you use yogurt with added sugar (such as vanilla yogurt) you might want to omit the powdered sugar. If you use plain yogurt (with no sugar), you may need to up the measurement of powdered sugar a bit to offset the tang of plain yogurt. Hi, I got this recipe awhile ago from Flipboard, and have actually made it several times, not just salivated all over my phone!! I just wanted to thank you so much for your creativity and sharing this special (and relatively easy to make) dessert. The combination of the parts – especially the banana is outstanding! There are not many dessert recipes that I consider keeping, but this one makes me smile and definitely in the top ten of my favorite recipes, both for making and eating! Thanks again. It says up to 2 hours in fridge…can I leave it for longer? I wanted to bring this to Thanksgiving dinner and it would need to sit for several hours. Yes, a couple more hours should be fine. Just wait to add any fresh banana to the top of the trifles until shortly before serving. Can I make this the night before for an event? or the morning of an event that i have at night? But there’s one issue: I can not get vanilla extract in any store nearby (I live in europe, in a small town). Is there anything I can replace it with? How many people does this recipe feed? Hi Lydia, So happy you’re thinking of trying this recipe. The yield is listed at the very top of the recipe. 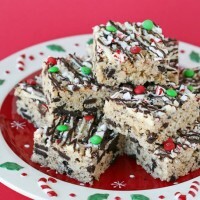 This recipe will make 4 moderate sized servings, or 6 mini desserts. Feel free to double the recipe if needed. Happy baking!